Maruti Suzuki India's entry level small car Alto was the best selling passenger vehicle (PV) model in February, clocking 24,751 units as the company swept the top six spots. 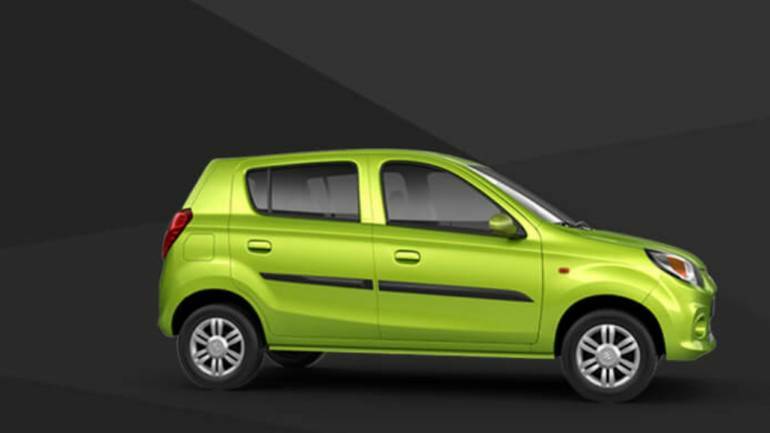 Alto overtook MSI's compact sedan Dzire which was the best selling model in the same month last year. The second best selling model last month was MSI's hatchback Swift with 18,224 units, up from third spot last year when it sold 17,291 units. MSI's premium hatchback Baleno was in the third place with 17,944 units, up from the fourth in the year-ago month when it sold 15,807 units. Hyundai Motor India Ltd's (HMIL) premium hatchback Elite i20 was the seventh best selling model last month with 11,547 units, down a position from the year-ago month when it sold 13,378 units. HMIL's popular SUV Creta was the eighth best selling PV model in February with 10,206 units, improving its position by a notch from February 2018 when it sold 9,278 units. The company's compact car Grandi10 was in the ninth position with 9,065 units, a spot down from the year-ago month when it sold 10,198 units. Tata Motors' hatchback Tiago made it to the top ten best selling passenger vehicles list with 8,286 units, replacing Mahindra & Mahindra's utility vehicle Bolero which sold 8,001 units in February 2018, according to the data.